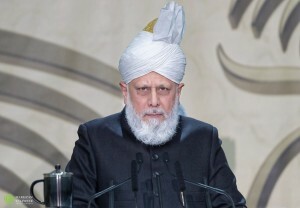 London Caliph Hazrat Mirza Masroor Ahmad says the tragic events in New Zealand should “serve as a lesson” to other countries of the developed world. Forty nine people were killed in Christchurch and more than 20 have been seriously wounded following two mosque shootings. The World Head of the Ahmadiyya Muslim Community, the Fifth Khalifa (Caliph), His Holiness, Hazrat Mirza Masroor Ahmad has strongly condemned the terrorist attack that took place earlier today in New Zealand. 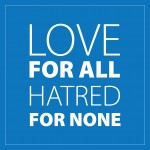 Speaking from London, he said: “On behalf of the Ahmadiyya Muslim Community worldwide, I express my deepest sympathies and condolences to all those affected by the barbaric terrorist attack that has taken place in Christchurch. “Such heinous and utterly inhumane attacks must be condemned in the strongest possible terms. It is a grave tragedy that dozens of innocent Muslims have lost their lives whilst joining together for worship. All people, no matter their faith or belief, have the right to worship peacefully. “This tragic event should serve as a lesson and warning to other countries of the developed world that we must join together to tackle all forms of racial, ethnic and religious hatred with wisdom and with a firm hand.